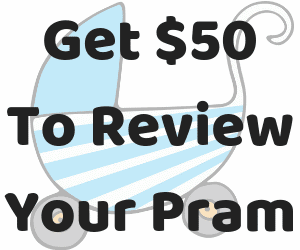 *NOTE* Check out the latest Ergobaby carrier – the Ergobaby Omni 360! After having the opportunity to thoroughly the latest Ergobaby carrier I’m excited to share this Ergobaby Adapt Review with you! 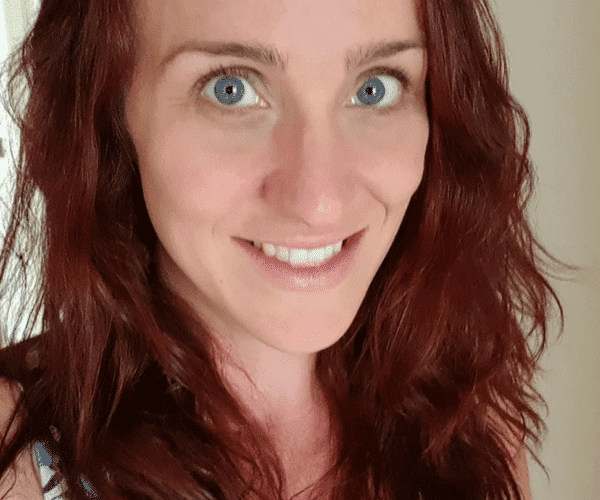 I’ve been enthusiastically recommending Ergobaby carriers for the last 7 years (my kids probably spent more time in our Ergobaby than they did in their cots) as it’s the most comfortable, easy to use, versatile and long-lasting carrier I’ve ever tried, and the Ergobaby Adapt is now the carrier I would recommend above all of the others in their range, especially for people who are new to babywearing. The most noteworthy difference between the Ergobaby Adapt and the other Ergobaby carriers is that it can be used from birth without the need for a separate infant insert. Who else is excited about that?!? !… Just me? Okay. Moving on. So, how does a carrier go from being suitable for a baby weighing just 3.2kgs to suitable for a toddler weighing 20kgs without the need for an insert? The secret is in the simple, clever design. It’s the kind of thing that makes you wonder “Why didn’t I think of that? !” because it’s so logical and intuitive to use. Most people would be able to figure it out without being shown. 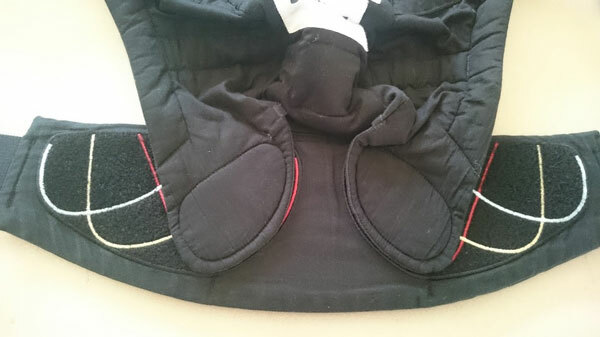 Firstly, it has these three Velcro tabs on the inside of the waistband which can be easily changed between three positions. First setting 0-3 months, next setting 3-9 months and last setting 9+months. On the outside there are three little press studs along a strap that cinch in the back panel even more. Again the positions go from smallest, to largest. So simple. 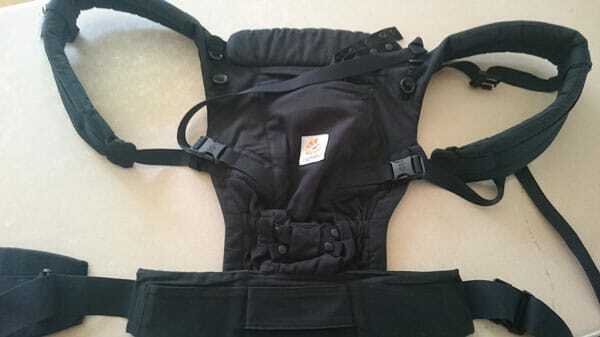 Further to that, the webbing buckles have been repositioned from the back of the shoulder strap to sides of the back panel. What that means is when your baby is being carried on your front, it’s much easier to adjust the length of the strap. 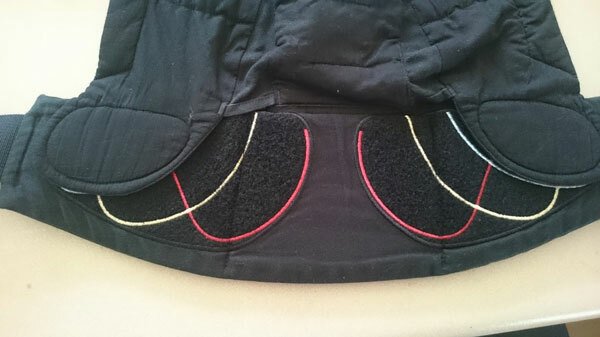 This makes putting the carrier on and taking it off a much simpler process! 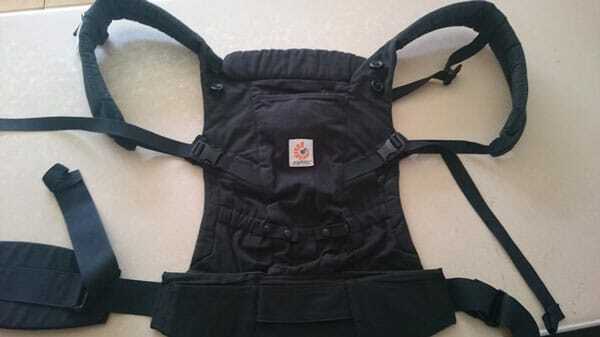 Also it means you can easily cross over the straps over at the back, which some parents prefer. 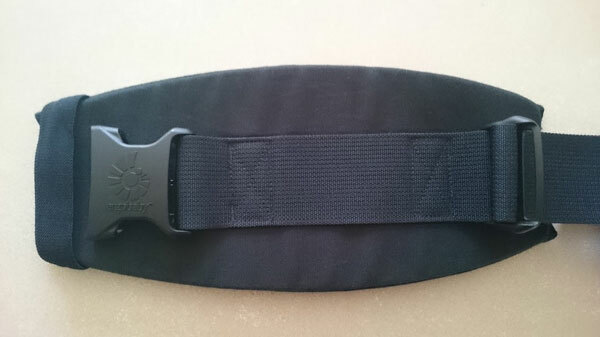 I also love the lumbar support on waistband, it feels SO comfortable, especially positioned quite high on your waist (rather than lower down on your hips), meaning it works well for holding a newborn, as with safe babywearing they should be held close enough to kiss. 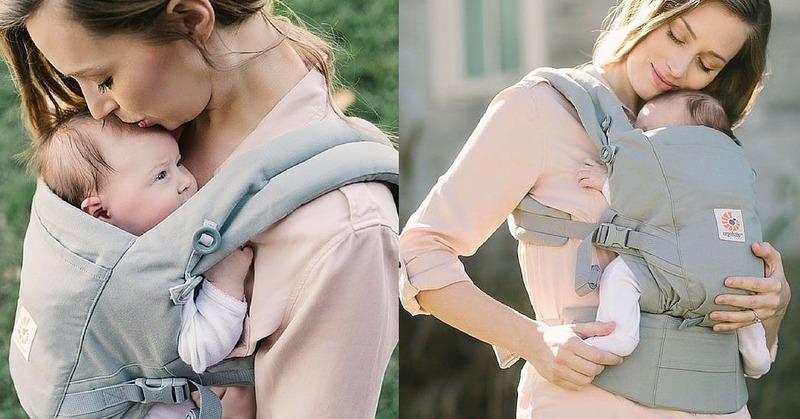 It’s also comfortable for carrying an older baby or toddler higher on your back, when they’re wanting to look out over your shoulder at the world. Finally, the weight limit of 20kgs means it’s even possible to use with my 4 year old. 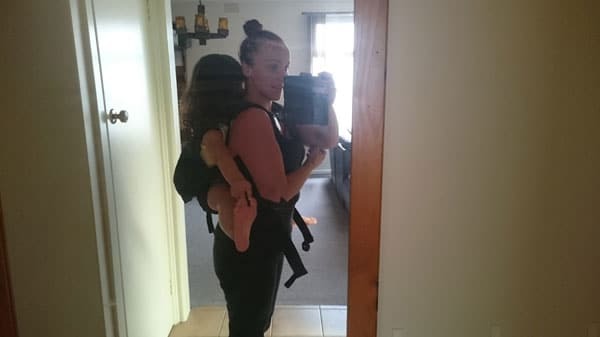 Though I probably wouldn’t want to carry her for very long in any carrier, it can still be handy to be able to “wear” toddlers and kids for short periods of time if you’re travelling. I wish I had a baby for this Ergobaby Adapt review as well, so I could clearly show you with two different sized children how it works. The Ergobaby Adapt has the same 3 carry positions as the classic carriers in the Ergobaby range. It does front, back and a hip carry – however it does not do forward facing. For parents who feel that the option of forward facing is essential they will still need the Ergobaby 360. 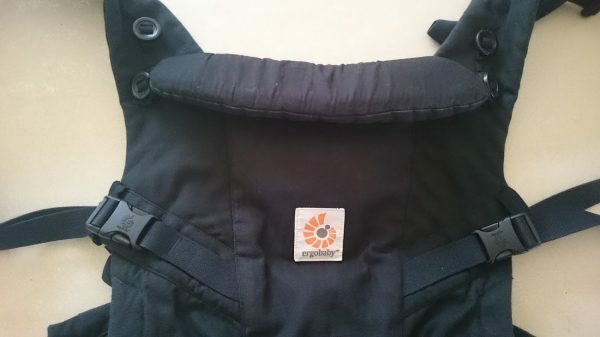 Overall the Ergobaby Adapt retains all the comfort and versatility that the Ergobaby brand is known for, while being more adaptable and easier to use. Ergobaby Adapt is currently available at Baby Bunting and at other leading baby stores. I hope you enjoyed my Ergobaby Adapt Review! If you found this helpful, or you have any questions please ask below, or check out our other Product Reviews! I have the Ergo 360 and absolutely love it. I’ve held back buying a double pram as I figure I’ll be carrying my newborn around for the first 3mths at least. I tried two types of wraps and just couldn’t get the hang of them. Love my Ergo! I tried wraps for a bit too, I liked them, but more often than not I’d reach for my ergo instead. It was just easier. Parenting Central Australia so much easier. No wrapping and winding. Just click clack! Just shared this link in a group for a mum in need! I’ve got a Tula for my toddler but I loved the Ergos too when he was littler! This looks so great! I loved my Ergobaby, but hated that I couldn’t get my daughter in until she was 6 months old. So glad they’ve made this change! It is an exciting change! I love that they’ve finally made a carrier that doesn’t need an infant insert!! I love that it doesn’t have an insert for sure, different settings for different ages thats really awesome! Very excited to be able to ditch the bulky insert for my next bub!!! And looks a lot less bulky that the 360 i currently have although i love it!! I love the idea of not having to use an insert! My LO hated the infant insert, so we weren’t able to use our Ergo until she was big enough to go without it at six months – the Adapt would have been so handy! This looks perfect to wear my newbie from birth here in the fnq heat! This looks good and simple. We haven’t gotten our carrier yet waiting for bub to come into the world to see what suits him.